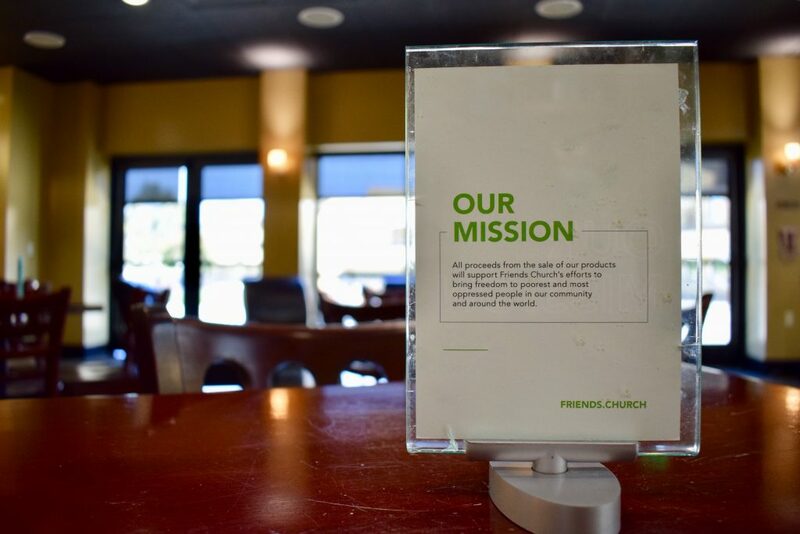 Did you know that Friends Christian School has a coffee shop located on its Lakeview campus? It’s actually a very unique ministry of Friends Church Yorba Linda, one of Friends Christian School’s sponsoring churches! We recently spoke with Nancy Flores, who helps manage The Terrace Coffeehouse. Nancy shared her heart for the coffee shop, her employees, and its customers. 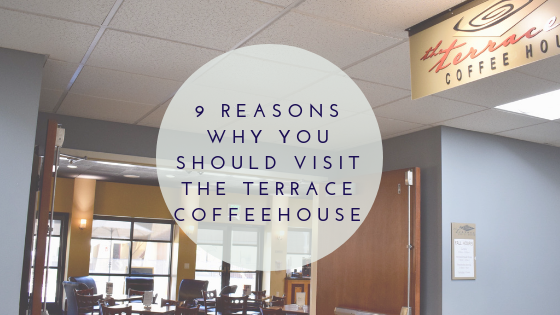 After our conversation, we came up with 9 reasons why we think you should visit The Terrace Coffeehouse! 100% of the proceeds benefit Global Freedom. Whether you buy coffee, tea, merchandise, or tip the baristas for their amazing customer service, all proceeds from the Terrace Coffeehouse benefit Global Freedom. While in the shop you’ll see photos of the children that the church sponsors-on the tip jar, in frames and photos framed and hung up all over the shop. When you purchase the coffee beans from the shop, the bag comes with an information sheet with additional information. It’s open before drop off and still open after pickup! Drop your student off and stay a while! 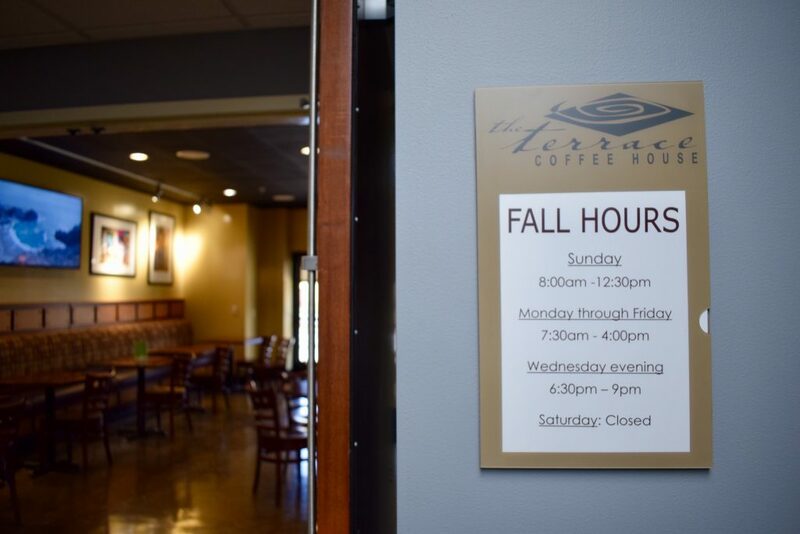 The Terrace Coffeehouse has convenient hours for FCS parents. It’s a great place to meet a friend, host a meeting, or get a little work done. Nancy shared that one of her favorite things about the Terrace Coffeehouse is that is serves as a bridge between the church and the school. It’s a great ice breaker for anyone new within the community. It’s a place where people feel comfortable going to! Invite a friend to meet you there, host a bible study or grab your laptop and get some work done. Worship music plays throughout the speakers daily. Even before you walk into the shop worship music is playing in the speakers outside. When you step foot inside, the music continues! It’s a great way to discover new Worship music and prepare your heart for whatever the Lord has for you on the day you visit. The staff is friendly, helpful and loves Jesus! While there are some employees, many of the people you see behind the counters are volunteers. Additionally, the coffee house has partnered with many High Schools in the area to provide volunteer opportunities in exchange for community service hours. 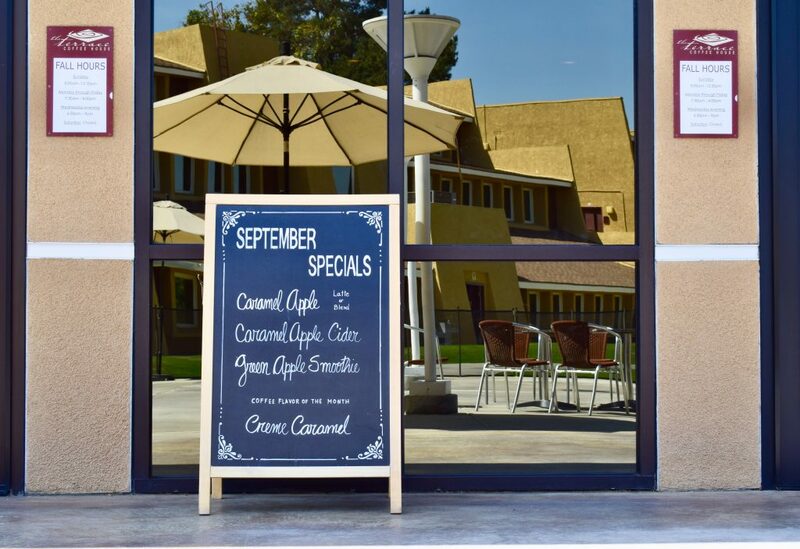 They have handcrafted specialty drinks each month. You’ll notice a sign in front with a list of monthly drink specials. Each drink is created in-house and tested by the entire staff at the Terrace, the facilities team, some pastoral staff, and sometimes the customers. So one day you may be asked to try a drink that may be in the running for a spot on the specials menu. 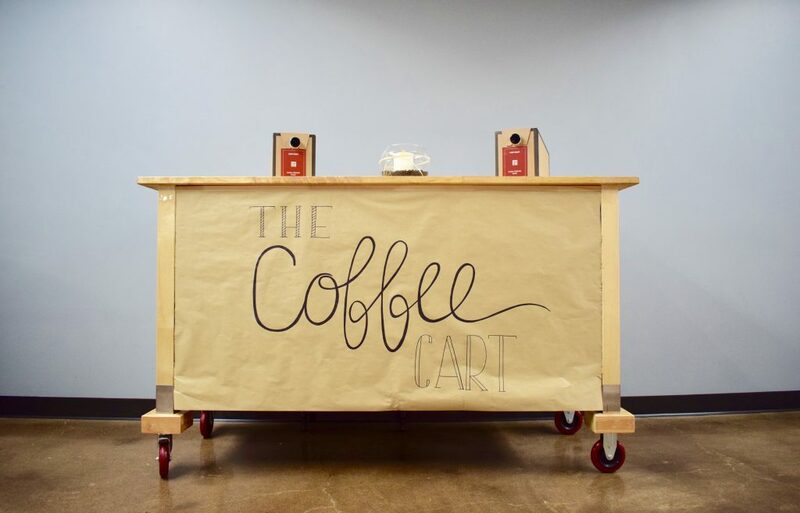 You can get a coffee box for your next meeting. These coffee boxes are so convenient! Pick one up for your next meeting or get together. They have the latest news on what’s happening at Friends Church. Be sure to check the tables once you order your drink. 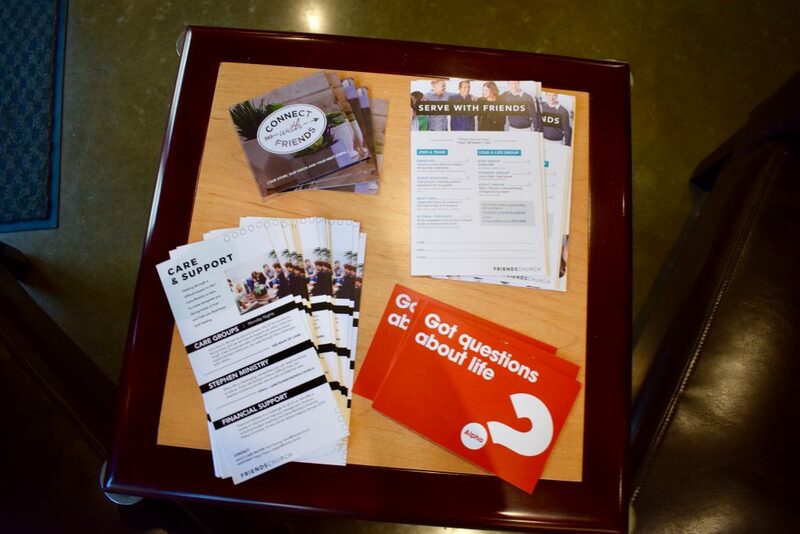 Friends Church always has their latest promotional materials at hand so you can stay up to date with whats going on at the Yorba Linda campus! 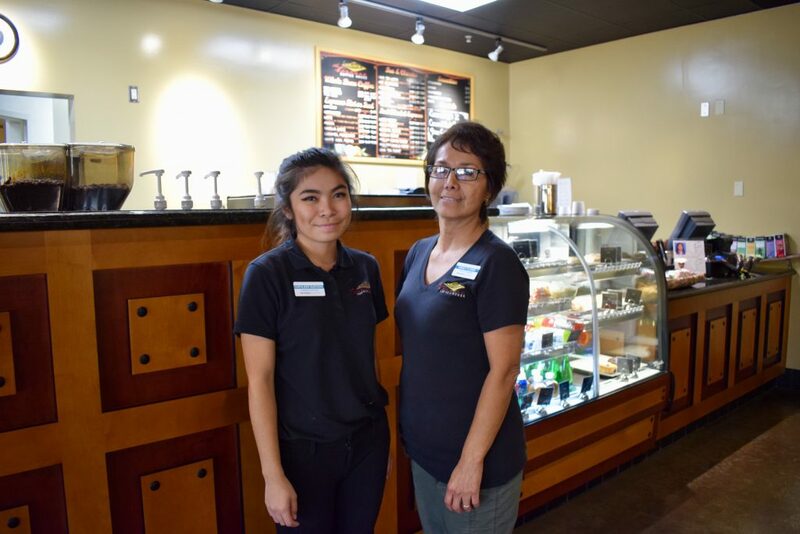 Not only does Nancy Flores, Manager of the Terrace Coffeehouse manage the day to day operations of the shop, but she also has a unique connection to Friends Christian School! Her son, Sergio, works at the School. You may have seen him in extended care and this summer at the BLAST summer camp! So there you have it, 9 reasons why we think you should visit the Terrace Coffeehouse this school year! Additionally, the faculty and staff members shared their favorite hot and cold drinks with the shop-meaning if you wanted to treat your students teacher with a drink, ask for the teacher list and you will know exactly what they like! Gift cards are also available! 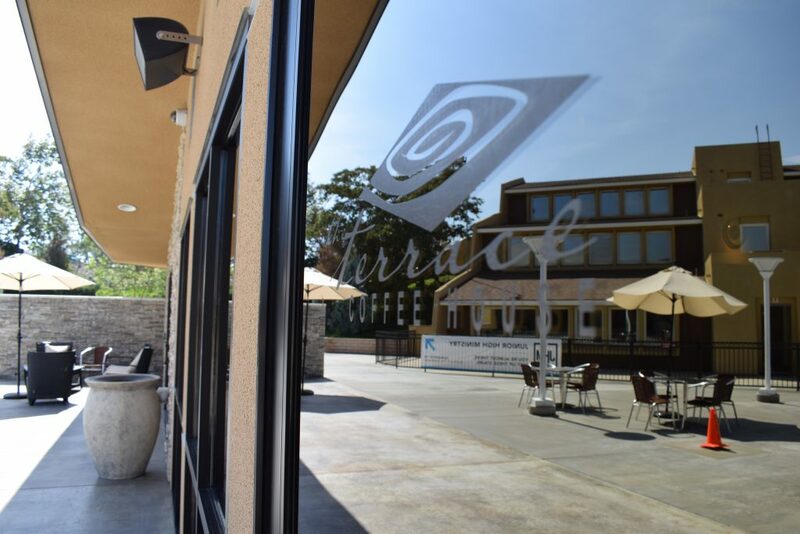 Stay up to date with The Terrace Coffeehouse on Facebook, Instagram and Yelp!